Seoul Racecourse takes a weekend off so Busan switches to Saturday and Sunday for the final racedays of 2013. Both days see class 1 action and while Saturday’s feature isn’t exactly one to set pulses beating too fast, Sunday’s sees the Kim Young Kwan trained duo of Road To Prince and Magic Dancer face off over 1900 metres. The 3-year-old Magic Dancer missed the Classics but has amassed 7 wins and 2 second places from his 9 starts to date and is quite a talent. Meanwhile, the similarly prolific winner Road To Prince will be looking to get back into form after souring a fantastic year with a couple of lacklustre runs of late. Minister’s Cup victor Major King and Peter Wolsley’s Cheongchun Bulpae also go in what should be a decent contest. In addition to the thoroughbreds at Busan, there are pony racing cards on Jeju Island on Friday and Saturday. 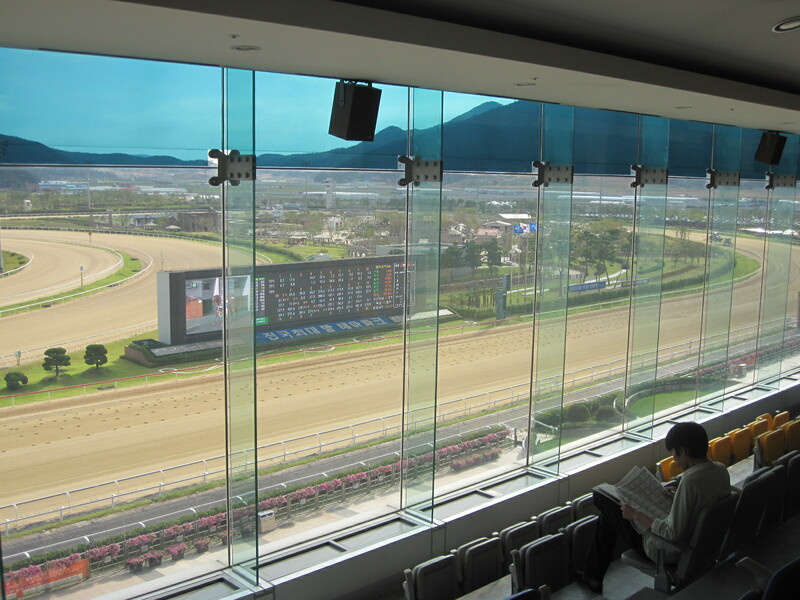 Despite there being no live racing in the capital, Seoul Race Park will be open for simulcasting from Friday to Sunday.